Be courteous to all, but intimate with few, and let those few be well tried before you give them your confidence. Nobody is worth anything they have no Principles and Values. If you know someone is already taken RESPECT their relationship, don't be the reason they end up single. Don't lead someone on. If you like someone, then tell them. If you just want to be friends, then don't make them think they have a chance. The measure of a truly great man is the courtesy with which he treats lesser men. Offer your soul and wealth to your friend, offer your equity and fairness for your enemy, and offer your courtesy and charity for people. Greet people so that they will greet you. No one has ever been offended by someone with good manners and courteous behaviour. Essential qualities for successful life are sincerity, determination, integrity, courtesy, wisdom, humility and charity. Courtesy is the consideration for other people and is one of the outcomes of being good mannered. Courtesy helps us to gain more friends because a well mannered person is always liked by others. It even has the capability to reduce the number of enemies and gives an entirely new opinion even if you are at fault. Courtesy is not only the character of the high profile people; in fact it is a must. Even great enmity can be thrashed in a minute by a simple act of courtesy. 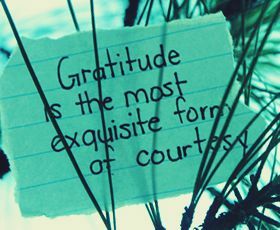 “Gratitude is the most exquisite form of courtesy” said Jacques Maritain. Courtesy has the tendency to be reciprocated and is also infectious. It will be returned with the same quantum that you offer. To quote Confucius, “When music and courtesy are better understood and appreciated, there will be no war.” So, develop this trait of being courteous to make the world a beautiful garden.